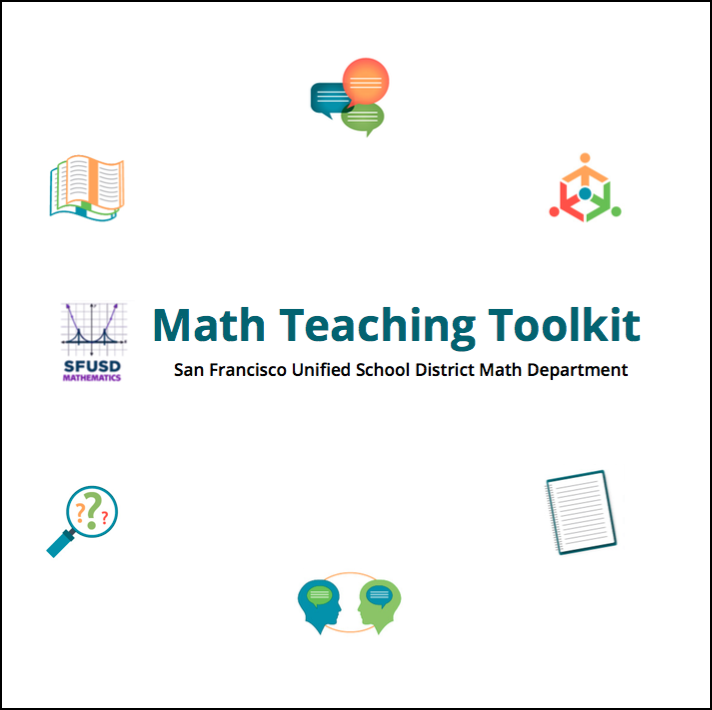 The SFUSD Mathematics Department Math Teaching Toolkit was originally designed alongside the curriculum in 2014-15. It was designed to support teachers and students as we shifted from a more directive style of teaching mathematics towards a more inquiry-based style. ​The umbrella theme of the Math Teaching Toolkit is classroom discourse, which we understand to mean the language that teachers and students use to communicate with each other in the classroom. This theme reflects shifts of pedagogy required to promote the Common Core Standards for Mathematical Practice.